In a short span of time our child Supriya has settled in well and we are happy to see her progressing everyday. Vivero team is doing an excellent job in shaping the children emotionally and their approach is appreciable! We have been at Vivero for three months now. The school surpassed all of our expectations, which I admit were quite high. A child when he or she turns two every parent thinks of putting them to a good school where they are cared as at home. We too started hunting for a school for our daughter. We hardly got any reviews about the school since it was a new one. 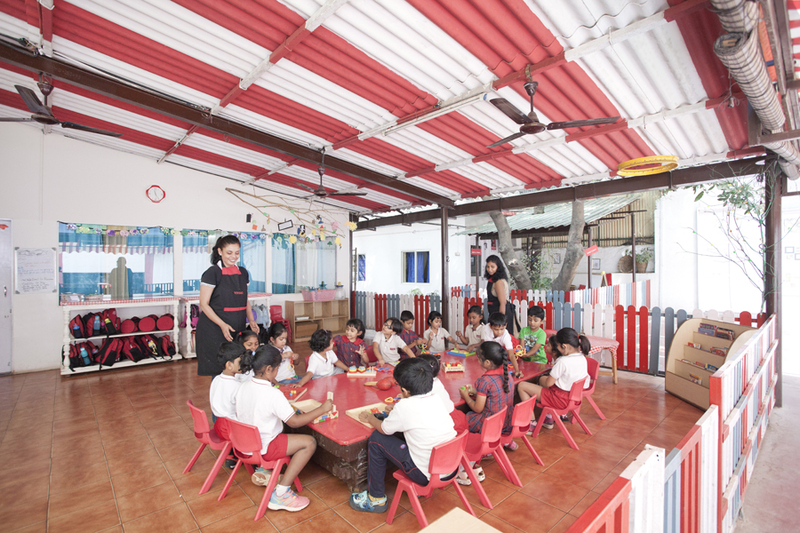 Quite often, it is a dilemma of parents whether to find a school that has continuity up to higher grades or a school that is devoted to building a foundation for a child. Understanding the importance of this vital difference, we decided on the latter - a strong foundation would definitely benefit our daughter, Eeshanvi. Honestly, we did not go by the term "International" in the name of the school. 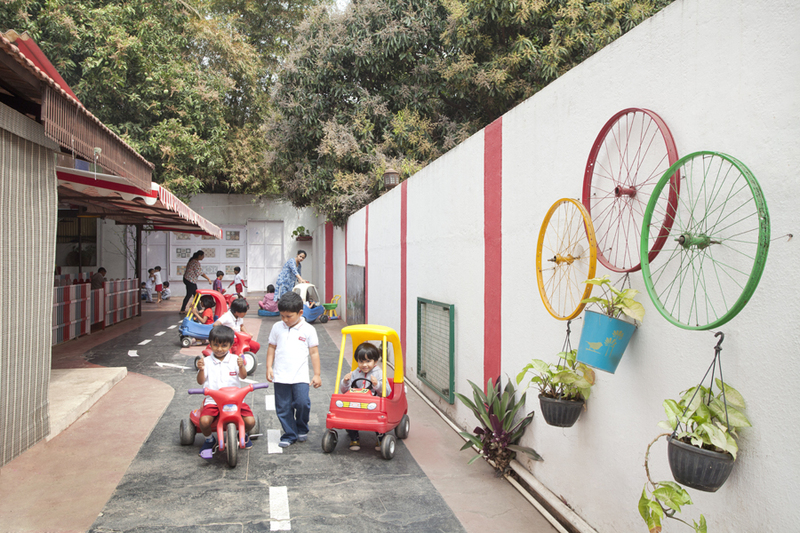 It's only when we saw the environment, interacted with the principal and the teachers that we decided that this could be a right place for our child. We saw only a small bunch of buds initially so thought our daughter would get personal attention. As two years passed crowd has improved but the care and attention is same or better rather. Over the last couple of years, we witnessed tremendous growth in our daughter - a child confident of asking questions, bold enough for creative imagination, inquisitive to learn and never losing her childhood enthusiasm. This could not have been possible without the overall atmosphere within the school, including fellow companions. As parents we are happy about our daughter that at Vivero school-she was taught to be social, to respect elders and even her classmates. Well organised institution with a planned curriculum. As in other regular schools overloaded with homework children here are stress free with learning in a fun environment with music and so. We get weekly newsletters of what was done at school and even monthly newsletters which always helped us to know and understand what our daughter knew and where we could help. We got to know the depth of their knowledge through various programmes like culmination at the end of each unit they were taught. The hardwork of the teachers and the staff is to be mentioned at this moment. Our daughter is now at the juncture where she will move on the higher grades in another school. Our only hope is that she gets to retain the similar enthusiasm and interest that she had to go to Vivero School. Thank you to all the staff and fellow parents for making this journey along with us and in successfully transforming it into a memorable journey. We whole heartedly wish you many more successful years ahead in helping build a child's mind. Keep spreading this joy of knowledge and discovery. I carry abundance of respect and gratitude to you and your staff for the compassion and upliftment to ‘Nayana’ at Vivero. I’m quite certain and confident she must be loving your team and the school. Nayana will have sweet memories for life time to cherish at VIVERO. My best wishes and prayers with you all. Bottom of my heart I thank each and every staff member there in Vivero. Thanks a ton for your love and affection to ‘Nayana’. Vivero has been an amazing journey for Pakhi, full of excitement, fun, joy and love. For records, I must say Vivero was the first school we enquired about when we were travelling on roads in search of school and we end up having her enrolled there itself and undoubtedly we didn’t regret a bit. Every first thing in life is quite special in itself and so does this is for us. Our first kid, her first summer camp, first school, first lunch box, school bag, dress and so on. We were little apprehensive (like any other parents) if Pakhi would be able to adjust, but her two days of tears converted into million $ happiness and fun. I must say she learned and enjoyed thoroughly. The changes in her were apparent and most of the credit goes to the dedicated team @ Vivero. On that note I would like to give a big applause and gratitude to team Vivero for all the support and love they have showered on my little angel Pakhi. Keep up the good work. I am extremely proud that my child is a part of your wonderful school. Abhiram is making huge progress in his activities and his communication skills have improved ever since he joined Vivero. I would like to thank all his teachers and the wonderful staff for the excellent care given to my child. We congratulate and appreciate your wonderful efforts towards the children. We are very happy with our decision to enroll our child at Vivero. He is very happy to be in school and he always talks about school and his teachers. 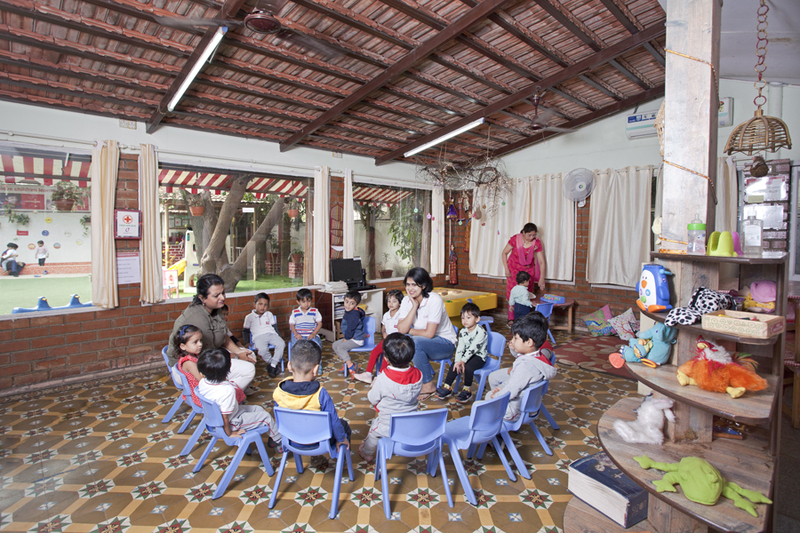 A child’s first school is always special and I am glad I enrolled my child in Vivero. I particularly want to thank the teachers for being so patient. They are always open to suggestions from parents on the learning process and make sure they act upon it too. We had a great evening. It was heartwarming to see all the little wonders perform on stage with such elegance. Although it has been only close to one and a half months that she has joined the Vivero family, we have seen the confidence grow in Ojasvi, she too loved performing and couldn't stop beaming about it the whole evening :) Kudos to the whole team of Vivero Whitefield, the efforts clearly paid off!! We cannot begin to describe how thrilled and goosebump-y we felt after the annual day. The quality of performances, the absolute confidence with which the kids came on stage and performed and the seamless flow of the show left us speechless. For sure, it didn't seem like the kids were aged 3-5. Thank you for the best 2 hours of our life in a long time. Specifically with Vedant, we (Chanakya, I and his immediate family) are amazed to see such a confident boy emerge. Being genetically disposed to a bit of shyness and introvert nature, we were speechless with the confidence with which he faced the stage. Short of a magic wand that must have been waved on him, it clearly shows a huge amount of love, encouragement and toil that the school has showered him with to enable the change. We'd just like to say a huge thank you to you for being who you are, nurturing Vedant like how you have and helping him grow, at the same time letting him be who he is. Let me introduce myself as the grand father of Aishvarya and naturally the great grand father of Vedant, your student at Viverointernational. I have seen the exchange of correspondence between Aishvarya and you on the Annual Day Celebrations of your school. Vedant, somehow, is my favourite great grand child. I happened to visit his school on his insistence when I happened to be at Bengaluru last month. I immensely appreciated the entire atmosphere. Vedant was very proud of his school and his teachers. He took pleasure in taking me around the school with great enthusiasm. I always held Vedant slightly introvert in that though he was higly communicative with his very close relatives, he used to be a little reserved outside this circle. Why I am giving so much of preamble, is that how did I find Vedant so free of stage fright and mingling with all with great ease. I happened to see the video of the function sent by Chanakya yesterday and communicated to Aishvarya to compliment the school teachers the great efforts they had put in to not only staging the show professionally but also to bring out the best from the children. My congrats to all of you. Mine is totally an unsolicited compliment arising out of my sincere appreciation. Your school is laying an excellent foundation for the children and I am sure that these children will be very fine ambassadors of your school in times to come. May God be with you in all your efforts. Firstly, it was a privilege to perform for our son's first annual day concert as a whole family. So, once again thank you so much for giving us the opportunity. Secondly, the entire concert was orchestrated in a beautiful way be it the Venue, the Dress Code of the teachers, the Theme of the programme, the Choice of Songs and Dances and most importantly the Timeliness of starting and ending the show, being some of the highlights. I would like to specially congratulate Ms. Elmina for her fabulous performances that stole the show for the evening. My hat goes out to her and the children that did the ballet and the "Let it Go" song. Overall, we are very very pleased to have our son studying in Vivero for many reasons of which, the most important being a truly Charismatic, Inspiring, Loving and a very Caring principal. My hearty congratulations to team Vivero - Whitefield for the beautiful Annual day 2015 you presented to us today! I would like to appreciate all the teachers and care takers for their efforts, standing tirelessly to make the event different, successful and a memorable one. I felt there was something to carry home for everyone. Thank you once again for the lovely evening! If you have to decide for the employee / teacher of the month / year then it goes to each n everyone at Vivero! :) My sincere thanks to Ms. Chandani who always make me so comfortable by her smile and kind words...Being a mother of a toddler is truly a roller coaster ride and now I feel choosing Vivero over any other school was the best decision I have made so far. Well done everyone! Keep it up! First and foremost congratulations for the success of a great show with lot of talent and spirit. Firstly the program was well organized went on time without any drag and was very colourful. Few parents got a chance to speak about their experiences with Vivero,I would no doubt recommend Vivero to any child at my will for that matter. I think none of the parents mentioned about children's safety at vivero school as in the present scenario Bangalore is bad at it. I am extremely happy and content with the fact that Vivero puts the child’s safety as prime importance.